Posted on the tugboatinformation.com Facebook group, by Capt. 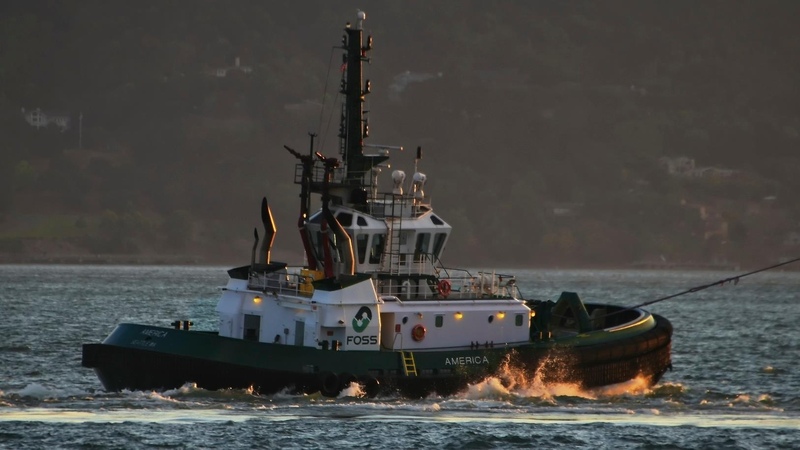 Dave Miner, is this great shot of Foss’s tractor tug America. She’s putting on the brakes for the tanker Overseas Tampa in Richmond California.